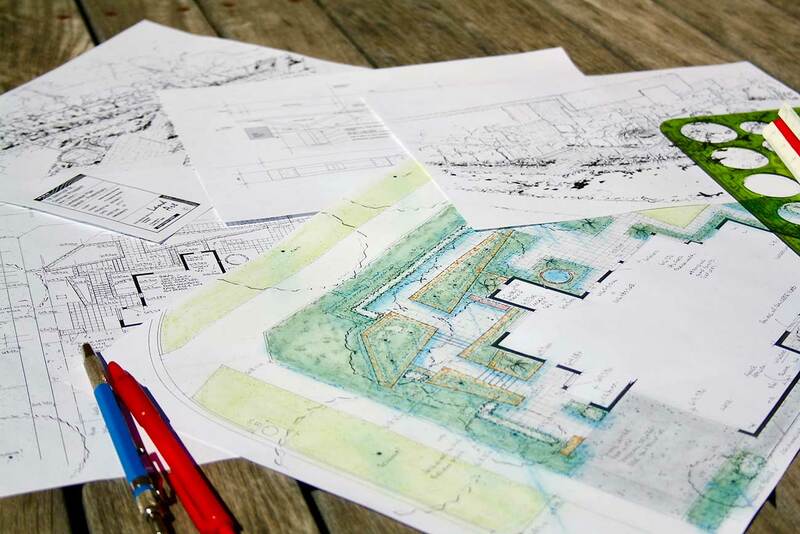 A Preliminary Landscape Plan (Construction Drawing) is a scale drawing (usually at 1:100 – much like a house plan, or sometimes 1:200 – typically for rural blocks). It shows hardworks, such as retaining walls, paving, steps, & structures like pergolas, decks & garden furniture. The softworks is also covered, with suggestions for the trees, shrubs, groundcovers & specimine plants. It’s actually a very detailed & resolved plan. Along with the plan are perspective sketches to give a 3D view of the garden.